The TRP Spyre brake is a dual sided mechanical brake where both pads actuate providing even and precise clamping force. This translates into even pad wear and, with the addition of a simple cable barrel adjuster, the pads can be adjusted easily and hassle free. • Works with ALL cable actuated road levers. We HIGHLY recommend compression-less housing. 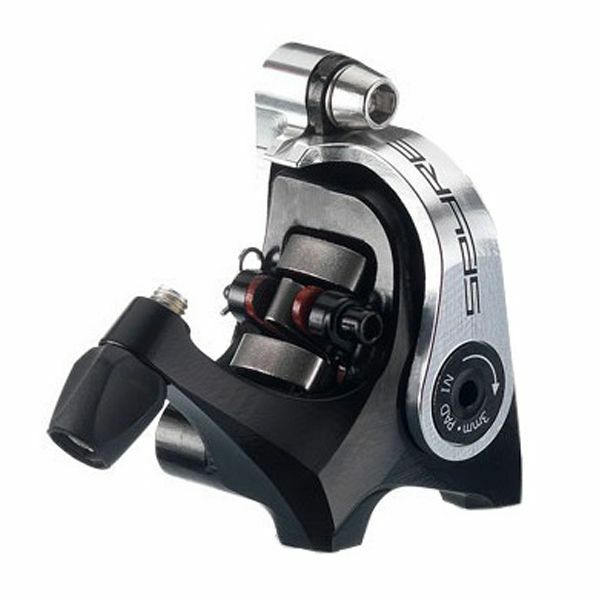 • TRP's own ultra-grippy semi-metallic pad that is Shimano M525/M515 compatible allowing for easy to source replacements. • Post mount to post mount adapters available separately.